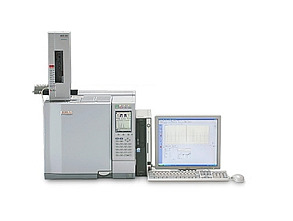 The GC-2010 Plus, a new generation Gas Chromatograph enables reliable, high-precision trace analysis with high repeatability, utilizing detectors such as FID and FPD that feature best-in-class sensitivity. In addition, rapid oven cooling and backflush technology shorten analysis time greatly for significant improvements in productivity. Equipped with many superior technologies, the GC sets the benchmark for the analysis of volatile substances in a host of sample applications. Advanced Flow Technology (AFT) further extends the applications scope of the instrument allowing multi-dimensional GC, capillary backflush and other specialized flow applications. GC-2010 Plus also seamlessly interfaces with the Shimadzu HS-20 headspace sampler for the analysis of volatile substances such as organic volatile impurities in pharmaceuticals.